With so many marketing tactics to choose from – website, social media, print and digital advertising – it might be hard to choose how to prioritize your efforts. But for return on investment, you shouldn’t ignore the power of email marketing. “Why?” you say? Not to worry, here’s the why and how behind email marketing for your brand. Email marketing is one of the most effective ways to reach and engage your audience. Data from Pew Research shows that 92% of adults in the United States use email. A whopping 61% of these email users are checking and sending emails every day. This means that no matter the size of your business, you can reach your audience almost immediately. Additionally, email marketing offers benefits that other marketing tactics can’t provide. Presumably you’re following email best practices, so the recipients on your list have agreed to receive email from you. This means the recipients already have a relationship with you, and want to hear from you. This gives email an enormous advantage over other advertising communications! 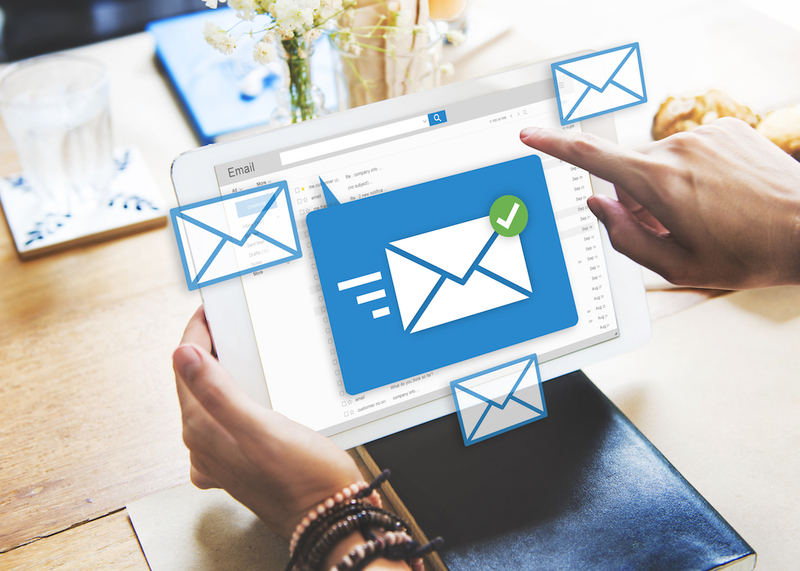 When you add other customizations available in email such as personalizing the message, tailoring the message based on action or response, and making the email interactive, email increases your reach and visibility on a scale that dwarfs other marketing options. One of my favorite things about email marketing is that it can be almost fully automated. Once it’s in place and set up, a large portion of the work will happen by itself. This isn’t to say you can just sit back and put your feet up, but it does mean that it can be one of the least time-consuming tasks on your to-do list. Email marketing can also be one of the most cost-effective tasks. Statistically, for every dollar you spend on email marketing, your return on the investment is $38 compared to $17 for AdWords and other keyword pay per click campaigns. The other good news is that it doesn’t require a huge budget to implement. I generally recommend using a third-party email program, such a MailChimp or Constant Contact, which costs anywhere from free to $75/month (depending on the size of your email list). Aside from the time investment of developing your email subscriber list and the content for your emails, there are no additional costs. Some businesses outsource their email marketing, which would, of course, add to the budget, but don’t forget that unbelievably high ROI. Another great advantage of email marketing is the ability to know whether your getting your money’s worth. Email marketing campaigns have excellent metrics to refer to, including open rates, click rates, conversion rates, and more. Don’t forget mobile devices! By this time next year, there is likely to be over 5 billion smartphone users. That means that more and more people will check their email on the go and email marketing allows you to be right there when they do. Finally, one of the most important reasons to use email marketing is the fact that your competitors are already there. If you are not reaching out to your audience by email on a consistent basis, you run the very high risk of losing them to someone else simply because they landed in their inbox first. If you’d like help putting your email marketing plan together, let’s connect. You can also check out my blog on following the new rules for today’s emails to help get you started. Whatever your marketing plan includes, don’t miss out on the power of email marketing!